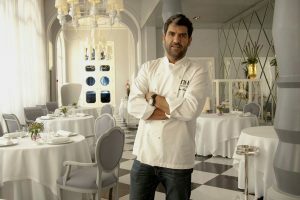 This year we could not let an issue go by without once again interviewing Madrid chef Paco Roncero, the winner of two Michelin stars, who receives us, as always, in his usual friendly manner. 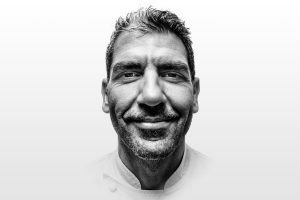 Paco Roncero is back to Ibiza for the start of the new season at the two restaurants he manages at the Hard Rock Hotel, the Estado Puro and the Sublimotion. He tells us that he thoroughly enjoyed his time with the ‘Top Chef’ TV programme, and that finally, after lengthy physical therapy, he has recovered from the injury that he sustained last year. Despite not being 100% fit, his passion for sport drove him to participate once again in the New York Marathon. He is not able to reveal any upcoming television projects but it’s safe to say that sooner or later we will be seeing him again on the small screen. How was your experience on ‘Top Chef’? Spectacular in every sense. I had a wonderful time sharing my expertise in the kitchen, bringing cooking into Spanish households, and filming with two great cooks and friends, Susi Díaz and Alberto Chicote. Are you as ‘strict’ in your kitchen as you were in the television programme, or was that something the script called for? In the kitchen you have to be demanding and maintain some tension while preparing food, otherwise things do not come out well. In my daily routine, on a one-to-one basis, I consider myself as someone who is pleasant and friendly, but when I’m working I concentrate very hard, which is also the only way to be productive and efficient. Have you any further plans for television? There is more to come… but I can’t give any details yet. How is the third season of Sublimotion looking? Indescribable… since we opened Sublimotion I have been saying that the experience you feel is impossible to convey in words, you have to live it first hand. There are lots of new features and surprises. 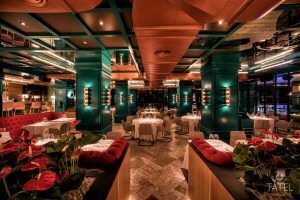 After two intense years of continuous research since the restaurant was opened, the Paco Roncero and Vega Factory teams are committed to gastronomic and technology innovation, music, art, fashion and entertainment. 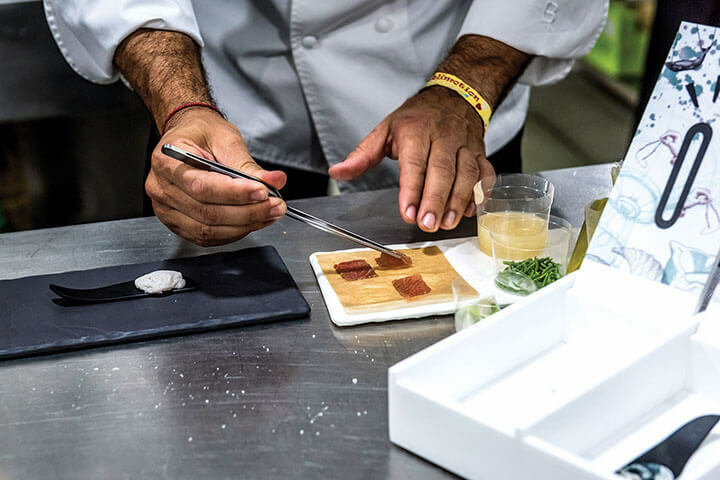 Proof of this and as a new feature this year comes the “Interactive Spoon”, a medium that can contain the gastronomic information necessary to tell us about what we are eating and the impact it has on the body and soul in real time, using augmented reality. On the musical side, we will also be able to enjoy the performances of artists such as international DJ Wally López and the legendary group La Unión during this season of the Sublimotion world. Is a project on the scale of Sublimotion profitable? Whenever I engage in a project I try to ensure that it is profitable. Sublimotion is very special because it has a huge outlay in technology and a very large team of people behind it, but what that requires is a very good management account and efforts to be made not to deviate from it. There is a new Sublimotion show each season, how much work does that involve? Nobody could imagine it, it’s infinite. At the start of last season you told us that you were looking forward to enjoying more of Ibiza because so far you had not had time. Were you able to? 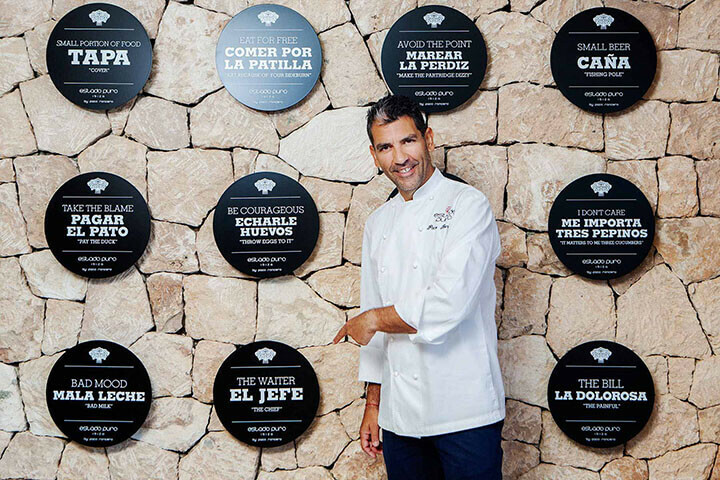 Well that’s still something I have on standby… Whenever I visit the island I focus on the two restaurants that we have at the Hard Rock Hotel, both Sublimotion and Estado Puro. But I do not intend to let another year go by… I am looking forward to enjoying this marvellous island. The last time we interviewed you you had a shoulder injury that prevented you from joining the Ironman race on Lanzarote. Are you fully recovered? I had a stupid fall but with a rather serious outcome, I tore my pectoral muscle, my shoulder muscle and biceps tendon. After a year of a great deal of physical therapy and muscle strengthening at the gym, I can finally say that I have recovered, I have gone back to swimming. The doctors still cannot believe that I have made such good progress without an operation, but I could never find the time to stop all my projects for surgery. I’m now very pleased and looking forward to training for an Ironman; that goal has defeated me for a year but I will be back and going for it even stronger if that is possible. Have you taken part in any other high-level sporting event? I was not able to ride a bicycle or swim until three months ago, but I’ve kept my legs going by running. Last November I ran the New York Marathon again, it’s an event I love and I try not to miss a year. And despite having an ischiotibial with a bit of a problem (it’s not good to train without taking a break! ), I was able to set a personal record.